The printer-friendly banner ads appear on pages where the user selects the print option. 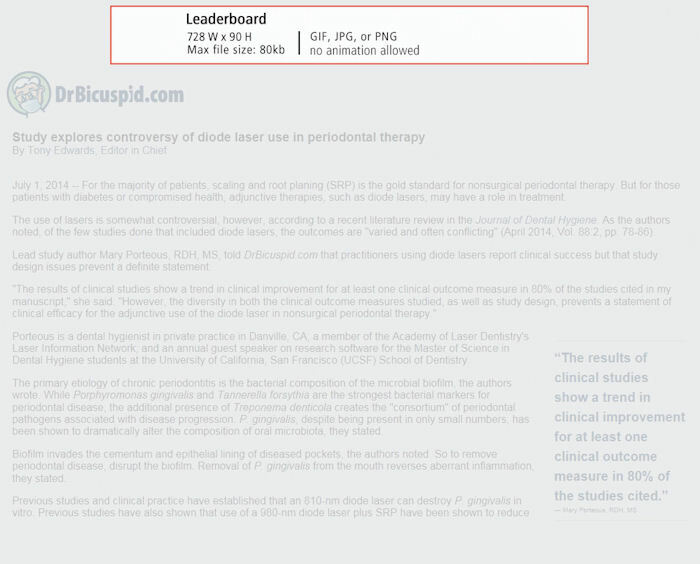 The printer-friendly sponsorship utilizes a leaderboard banner ad. At minimum, you must supply GIF, JPG, or PNG. You have the option of targeting specific banners to certain types of articles. For example, we can display your banner which features your company's specific service or product when printing relevant articles. After determining with your salesperson the number of unique banners to supply, you must specify the topic associated with each banner. Please plan to include one "default" banner for generic articles that do not meet your specific topic criteria. Keep in mind that the printer cannot capture multiple frames in animated banners. For this reason, it's best to use static banners where all the pertinent information appears on one frame. Many users do not have color printers. Ensure that your banner will communicate your message clearly if it's printed in black and white. Avoid large areas of color. This recommendation is for the users who are very conscious of printer ink consumption. 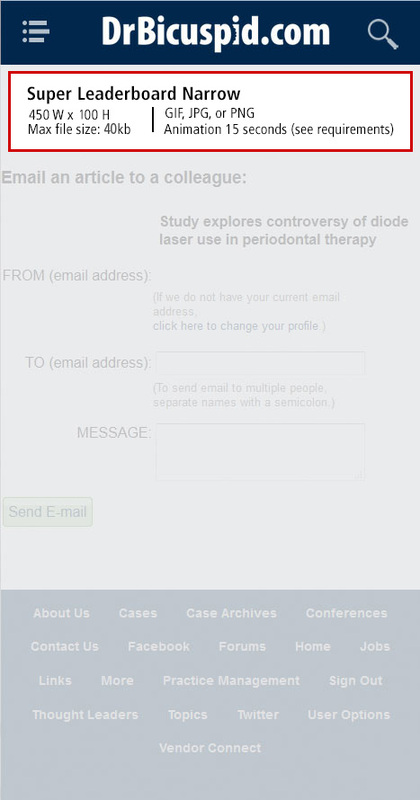 The email article banner ads appear in two places: on the preview page where the user enters the colleague's email address to whom they are sending the article, and on the recipient's email message. 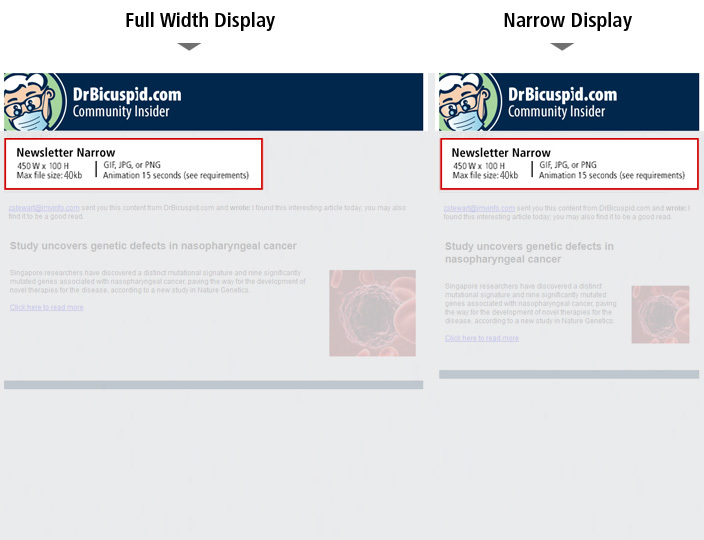 You have the option of targeting specific banners to certain types of articles. For example, we can display your banner which features your company's specific service or product when emailing relevant articles. After determining with your salesperson the number of unique banners to supply, you must specify the topic associated with each banner. Please plan to include one "default" banner for generic articles that do not meet your specific topic criteria.